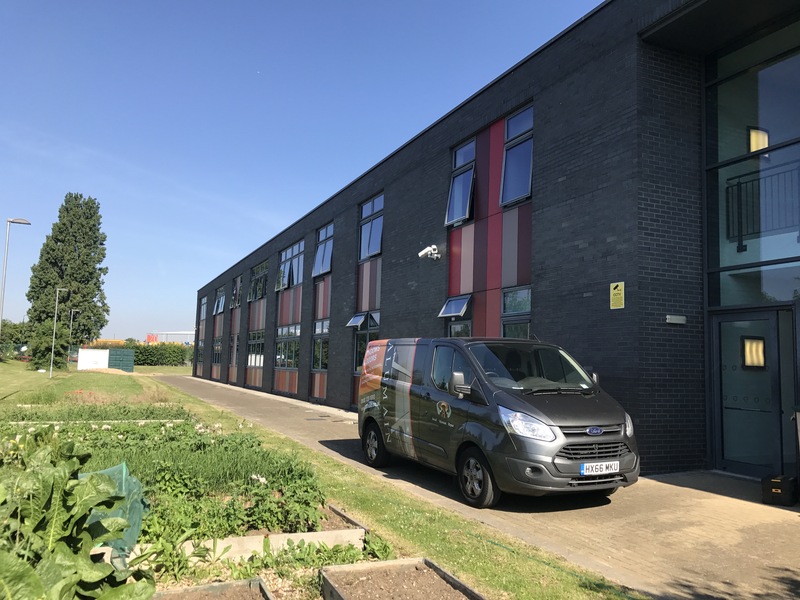 Following the completion of a brand new purpose built school, Alumain were bought in to rectify problems with non DDA compliant external doors. 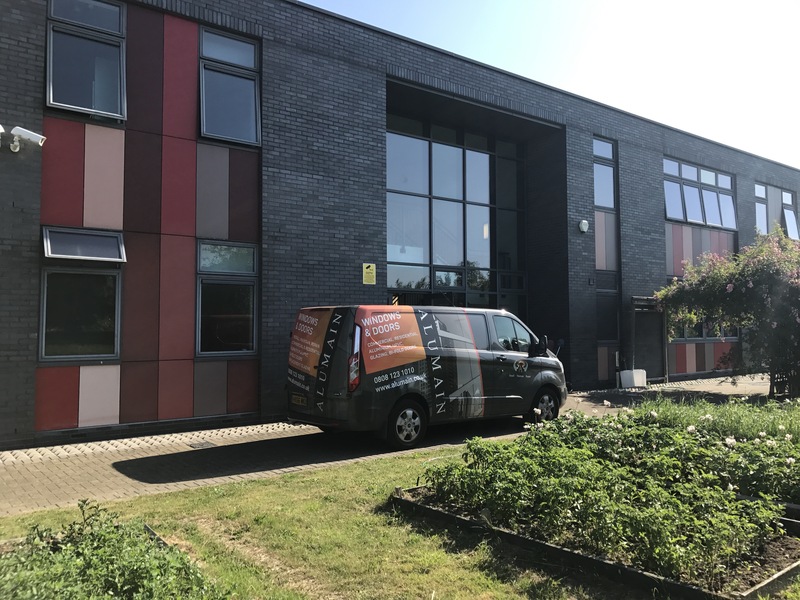 The original fabricator/installer ceased trading following the practical completion of the project. 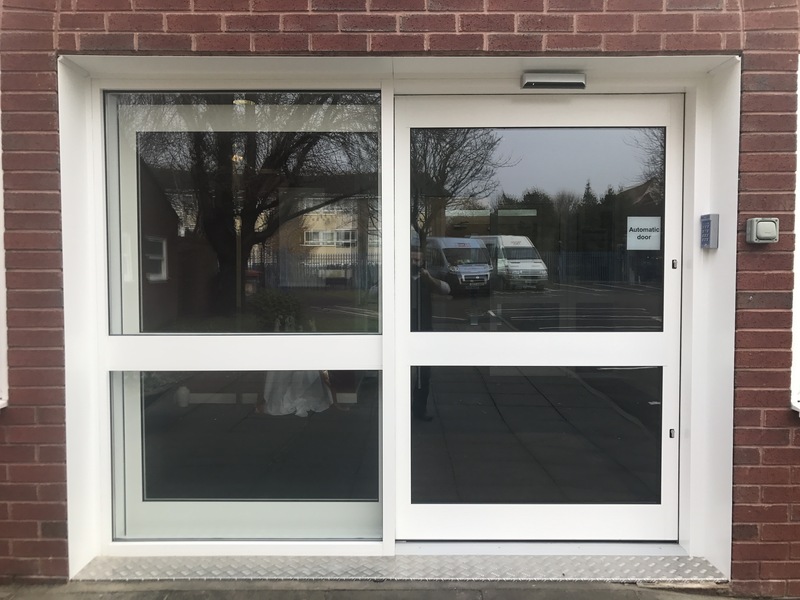 We found numerous sets of ‘Technal’ CD commercial doors fitted with the incorrect anti finger trap adapters, which could prove a health and safety risk to the pupils using the school. 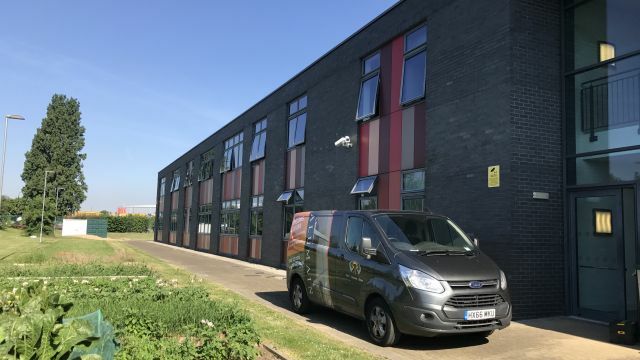 Alumain worked directly with St Pauls Academy to rectify this error by fitting the correct adapters and altering the doors on site to meet current DDA regulations. 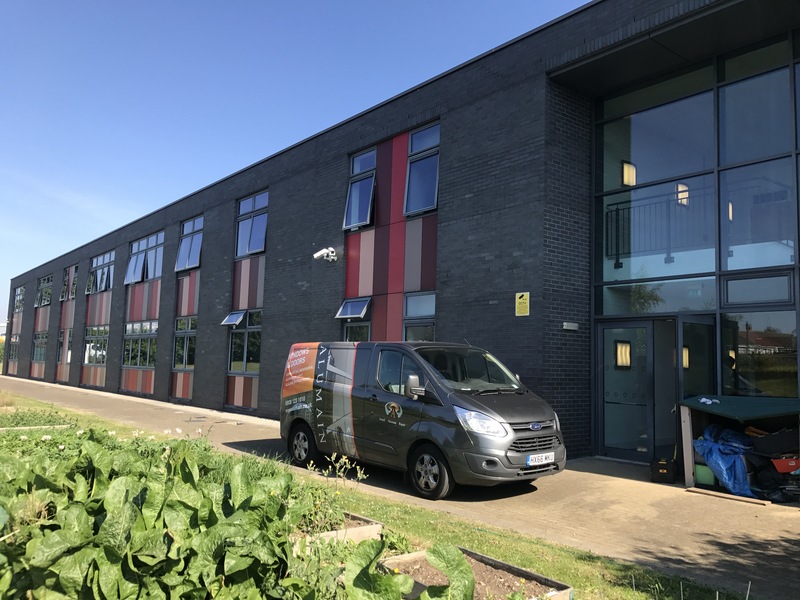 In the following years Alumain have then manufactured and installed new fully compliant ‘Technal’ commercial doors to replace the existing as and when works were required. 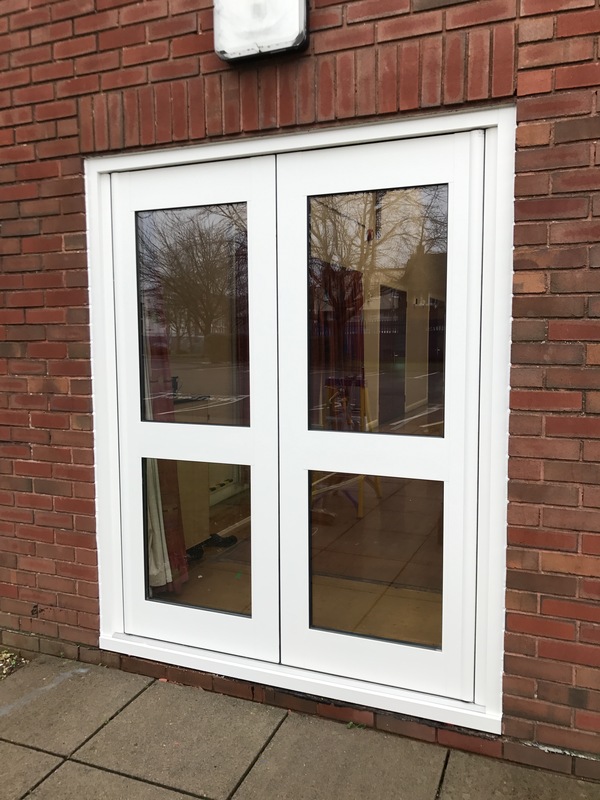 St John’s School was looking to update the existing external main entrance doors with a fully automatic and access controlled alternative. 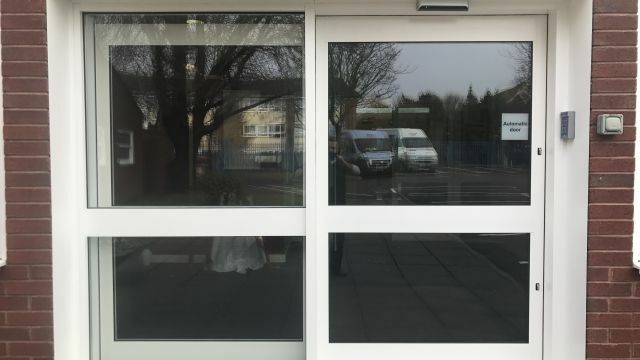 Alumain manufactures and installed a single automatic sliding door complete with internal safety pocket screen, which was then integrated into the existing digital code lock system which allowed the school to fully control access and egress from the building not only during school hours but also after school clubs and functions. 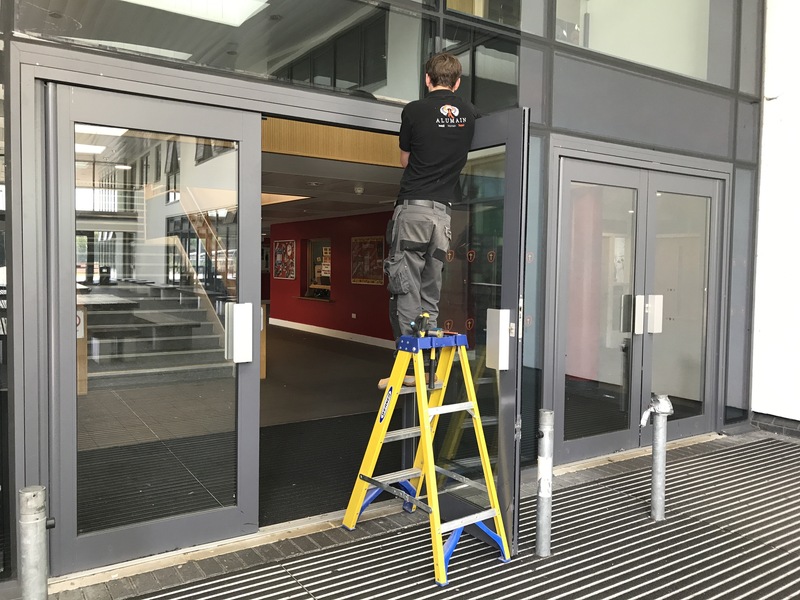 Following the success works on the main entrance, Alumain have since manufactures and installed new pairs of fire exit doors to the main hall, new patio sliding doors to classrooms and a stained glass feature window. 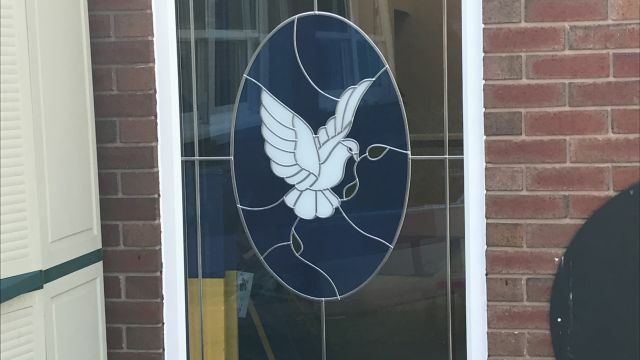 I am extremely pleased with our doors and windows. 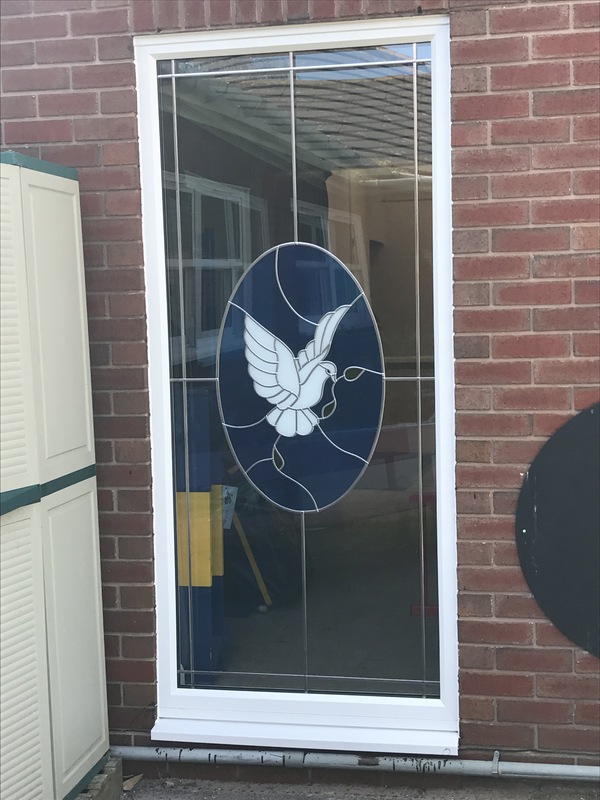 The quality of the products is good and of a high standard. 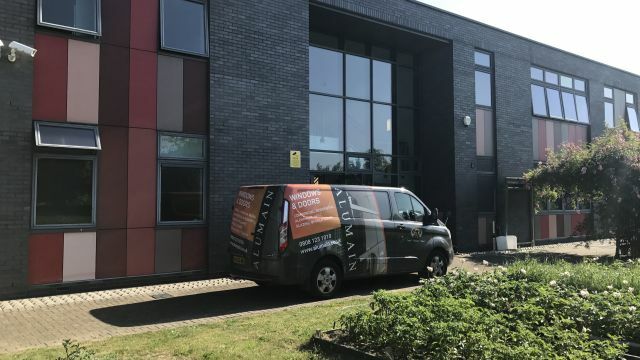 The initial contact with Steve convinced me that Alumain was the right choice having had several quotes from other companies. The installation was carried out by Steve and Aaron who were courteous and worked very hard with minimum disruption. When the work was finished they cleared up everything leaving no mess. There attention to detail made for a first class job from an excellent company. 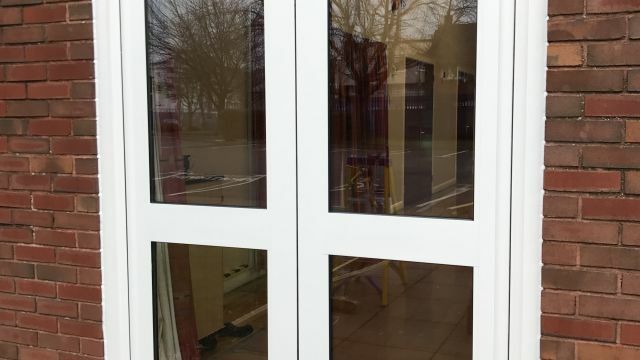 I am extremely pleased with our new doors and windows. The quality of the products is good and of a high standard. The initial contact with Stephen Kerrigan convinced me that Alumain was the right choice, having had several quotes from other companies. There was no pressure and no hard sell and a willingness to give us what we wanted. 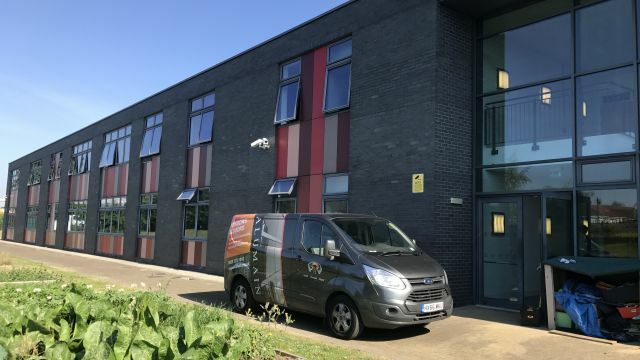 The installation was carried out by Stephen and Aaron who were courteous and worked very hard with minimum disruption. When the work was finished they cleared up everything leaving no mess. 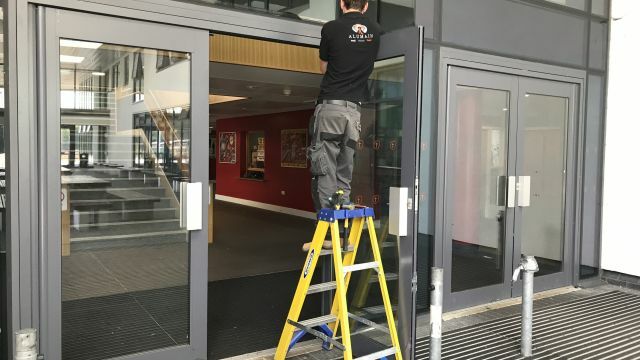 Their attention to detail made for a first class job from an excellent company.